The team at The Brighton Kitchen Co has over 25 years experience in designing, building and installing exceptional kitchens that are unique to every client. Their method is to fully understand the needs of each household, so they can create a bespoke space that meets all of their functional and aesthetic goals. Based in Brighton, many customers are looking for a traditional kitchen inspired by the area's Georgian and Regency properties. The Brighton Kitchen Co meets this demand with classic designs that have timeless appeal. In Frame Kitchens are a popular choice, moving away from contemporary handle-free design and back to a conventional farmhouse style. You can browse the online gallery to see some of the latest projects featuring this type of cabinetry. The company also caters to a modern aesthetic, offering edgy industrial kitchen design and minimalist styles made from high-quality materials. High-gloss counters are mixed with matte cabinets, and the team creates some of the most stunning contemporary kitchens in Brighton. 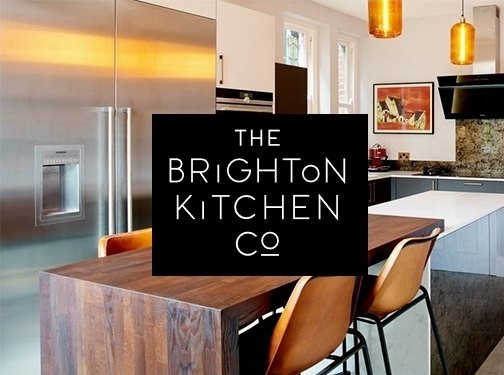 Whether you know exactly how you want your new kitchen to look or are still in the early planning stages, book a consultation with The Brighton Kitchen Co to help make your vision become a reality. Visit the website for ideas, or head straight to their Hickstead showroom to see their craftsmanship for yourself. UK (Hickstead, West Sussex) providing kitchen design and installation services. Website includes details of services provided, "meet the team" page, work examples, testimonials, associations, full contact details including company registation and VAT numbers.